Editor's Note: In this story, Ronnie Muro talks about his longtime affiliation with St. Patrick and the many blessings it has bestwowed upon him. The blessings available at St. Patrick are like a box of chocolates, each carrying a unique and beautiful gift. 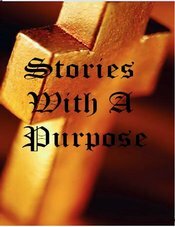 He closes by dedicating this story to a person who provided a blessing to many lives at St. Patrick and beyond. We hope you enjoy the following "Story with a Purpose". There were lots of people scurrying around the mall the day before Valentine's Day. I noticed several of them carrying big, heart-shaped boxes of candy. The traditional Valentine's gifts are candy and flowers. A box of chocolates is a nice gift, especially when it is wrapped in a big, red heart-shaped package. Each piece is its own special treat inside and every one is a little different. One might be filled with caramel, another with coconut or cream. That reminds me of the movie, Forrest Gump which I happened to see again recently on television. There is that famous scene where Forrest recalls "My momma always said, "Life is like a box of chocolates. You never know what you're gonna get." What a great line. And isn't that the truth? Life does always seem to send us surprises - some good and some not so good. But my thoughts were not really about Valentine's Day or Forrest Gump. Lately, I'd been thinking about our church - St. Patrick's. I was thinking of all the great people I'd met though the years and all the great experiences I've had there - not the least of which is being able to grow in my faith and serve the Lord. So, I'd like to say to you, "St. Patrick church is like a box of chocolates!" But unlike Mrs. Gump, I think we do know what we are going to get inside. Our church, first and foremost, is where we share a beautiful religion. The Catholic faith is rich and powerful, offering us so many opportunities to grow closer to the Lord. It begins with the Mass and the sharing of Eucharist. But it is not just about Sunday Mass. I think sometimes those that only attend Mass on Sunday (and do little else) aren't really getting all they can out of church. It would be like buying one of those beautiful boxes of candy and never unwrapping it. Sure you have the box of candy, but if you never open it, did you really enjoy it? Did you taste what it has to offer? So it is with church. We have to open it up and dive right in. What does that mean? Maybe it means attending an extra Mass during the week. For some that is a step to getting even more out of the Mass. Perhaps it means strengthening your prayer life, reading, studying and learning about the faith. There are also many wonderful people to get to know who can have a positive influence on your life. Volunteering and getting involved is a great way to meet people and also to serve the church, Sign up for the Lenten Day of Service. Help out with Springfest. Join the Knights of Columbus or the Ladies Auxiliary. All these (and many more) are great ways to give back to the church but also ways to meet new and interesting people. How would I have ever come to know and love Benny Bakane or Father Ray Murrin had I not gotten involved in church? Those two men definitely had a great influence on me and changed my life. I'm so thankful for them among the many other men and women I have met along the way. It is true that every now and then you bite into a piece of candy and it just doesn't taste right. That may also happen at church. Maybe you try something and it doesn't work for you. You may have a bad experience or two. Possibly that style of prayer or gathering just does not suit you. If so, try something else, but mainly, just keep trying. One thing about the box of St. Patrick chocolates - it will never run out! So my challenge this Lent is NOT to give up chocolate - just the opposite. I want to taste what my faith has to offer and I plan to sample as much as I can this Lenten season. I invite you to do the same. Author's note: Riding to work a few days after I wrote this my mind wandered to Mr. Joe Russo. We called him the "Candy Man" because he often brought lots of candy to church and shared it with all the children. That very same day, I learned Mr. Russo had passed away. I dedicate this story to his memory and to those who try to make this world a little sweeter by their presence. Rest in peace, Candy Man.